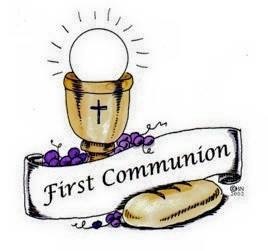 There is great excitement in Second Class today as the children make their final preparations for their First Holy Communion tomorrow. For the past few weeks the children and their teachers have been very busy in the church learning their prayers and preparing for the big day. It looks like the sun will shine on them tomorrow and we know that it will be an occasion that they will remember forever.